I then rebooted the PBX (but have not tried rebooting the SoHo, yet) and found that the upgrade failed, when I checked under the Status tab. It could be that the SoHo is using a different name than "pbxctrl" for the executable. If you can log in on SSH, you can check the file in /etc/init.d/snomone what name the executable has and change it accordingly to "pbxctrl". We included the bi_ced.wav file in the upgrade to make sure that everyone has the file in the audio_moh directory. The log/error is misleading (needs to be taken out from the code); upgrades may include non-executable files. For example, it should be possible to install languages by using the software update mechanism. [ "$VERBOSE" != no ] && log_daemon_msg "Stopping $DESC" "$NAME - Please wait from a few seconds to several minutes"
Is there anything in here that needs to be changed? Thanks. Indeed, it looks okay. If you cd into the /usr/local/snomONE directory, try calling ./pbxctrl --version to see what version you are running. While you are there, you can also just wget the executable and skip the upgrade from the HTTP interface. I'll try wget, next. When I click on the link http://snomone.com/downloads/snomONE/version-5.0.2.xml to get the URL for the executable, I don't see a line for a SoHo / Sheeva Update, like there was for 4.5.0.1090. Should I download this version: http://snomone.com/downloads/snomONE/debian32/pbxctrl-debian32-5.0.2 ? The version-5.0.2.xml did not contain the link yet... Please try again, the file should not have the link. From the shell, you can just use "wget http://snomone.com/downloads/snomONE/mini/pbxctrl-mini-5.0.2". I have the exact same issue with the snom SoHo. Oh, this is probably because the snom ONE Soho was using its own Linux distribution. We changed that to a standard Debian distribution on the mini. I searched a little bit in the Internet; seems that problem is a common problem. If you have a mini, maybe you can just copy the lib files over to the Soho. If it all does not help it seems we have to compile the executable again on the old Soho platform. Unfortunately, I do not have a mini (unless you have one laying around that you would not mind tossing my way ). How long until a SoHo-platform executable gets cranked out? BTW, thanks for all your quick (and helpful) responses! If you have a mini, maybe you can just copy the lib files over to the Soho. If it all does not help it seems we have to compile the executable again on the old Soho platform. I only have the the snom ONE SoHo. We were actually so far under the impression that there was no difference between SoHo and mini... But because we did a fresh install on the tool chain, it seems that that broke the backward compatibility on the SoHo. Looks like we have to dig the SoHo out again and make another image there. Do we have a time frame on this? 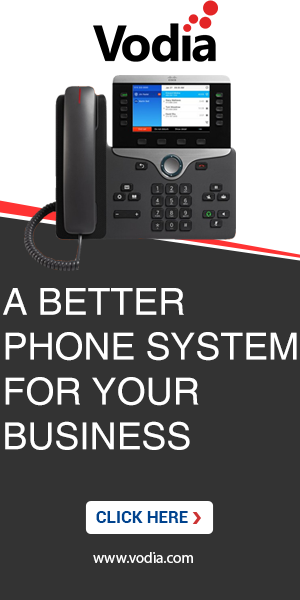 My business is without a phone system now. I am very unimpressed with your assumption, you should know your products and test them before releasing the update. Very Unprofessional. We have made a build on the SoHo distribution at http://www.snomone.com/downloads/snomONE/mini/pbxctrl-soho-5.0.2. Please use this one for the SoHo. We have made a build on the SoHo distribution at http://www.snomone.c...trl-soho-5.0.2. Please use this one for the SoHo. Does it matter that the version I was upgrading from was 4.5.0.1090 Epsilon Geminids (snom ONE mini) and not snom ONE SoHo? For now, I would stick to command line. If you check out /etc/init.d/snomone is that pointing to the right executable? Some systems used the name "snomONE-ctrl" or so. Make sure that the name in the init.d directory is pbxctrl and nothing else. What is the operating system? cat /etc/debian_version should show us what version is on that system. /usr/local/snomONE/pbxctrl --version must print 5.0.2; if there is a error we still have a problem with the Linux version that is installed on that system. The image was compile on debian 5.0.3. Again the easiest would be if you port forward the SSH port (22) and give us a remote login, then we can probably figure this out in minutes. The name of the executable in /etc/init.d/snomONE is pbxctrl. Under /etc/init.d, I do not see pbxctrl (not sure if I understood your comment that "the name in the init.d directory is pbxctrl and nothing else."). After that it should *really* work. Drum roll, please....................................................................... and it DOES work; thanks! Thank you for getting this working. I'm at the same stage as comment #8 - I can get to the admin page but not the pabx page and a non working snom soho. Do I just enter the commands in comment #18 or is there a little more to it? #18 addresses the problem that earlier version of the device were shipped with an older version of the library. Yes, you should be able to just copy and paste those commands. I'm having a bit of trouble with these commands. any idea what the next step is? I forgot to mention - I can't even get to the admin page now. Only SSH or SMB access to the shares. Well was the wget successful? Try if you can download it from your PC. You can use the "ls" command in Linux to see what files you have in your working directory.